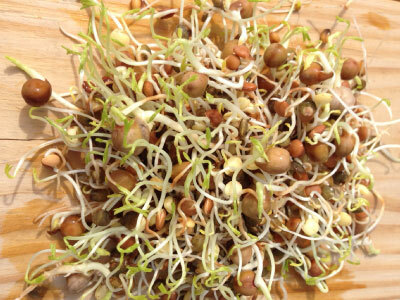 Sprouting in your kitchen is like having a mini garden in your house. 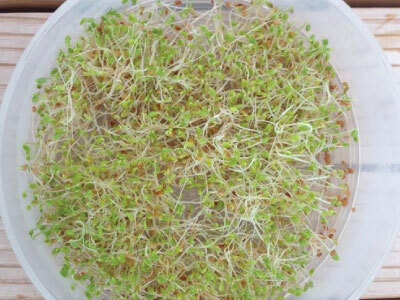 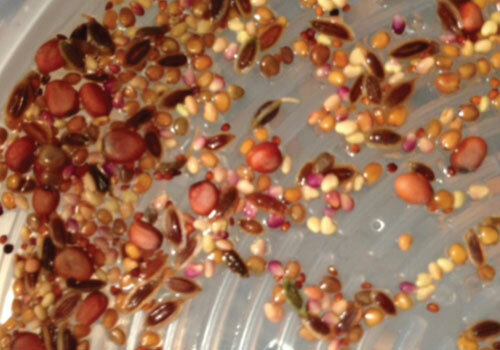 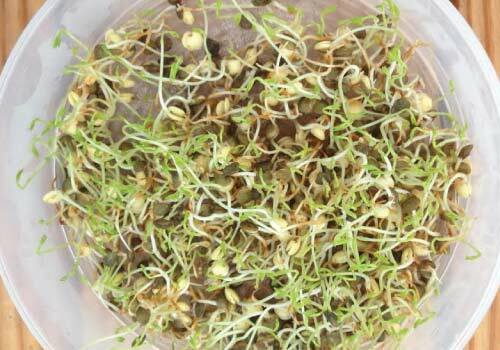 Sprouting is a technique of using just water to germinate a seed for 1-2 weeks. 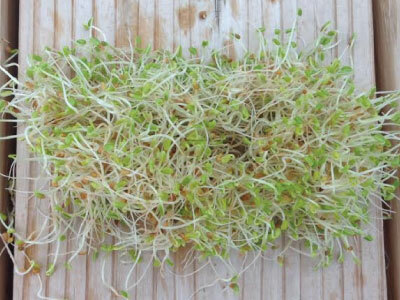 Sprouts are then used on sandwiches, salads and more. 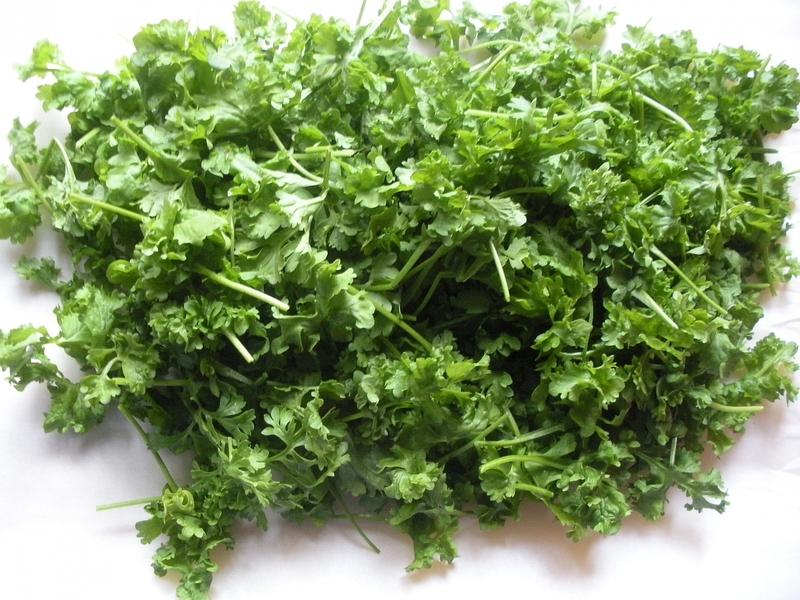 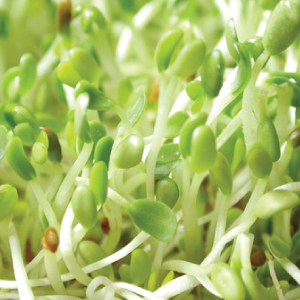 Not only do they taste good but they are packed with beneficial nutrients. 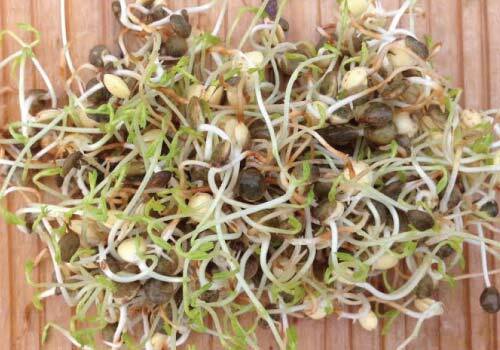 Sprouts come in many different shapes, sizes and taste! 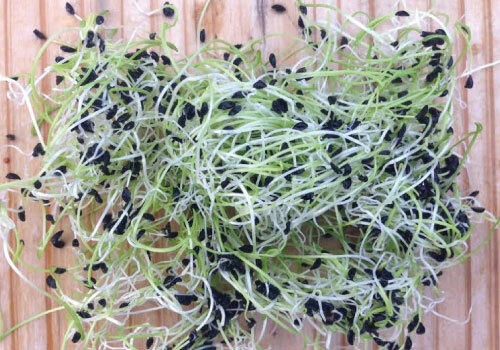 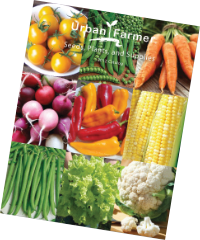 We offer a great assortment of sprouting seeds for you to choose from. 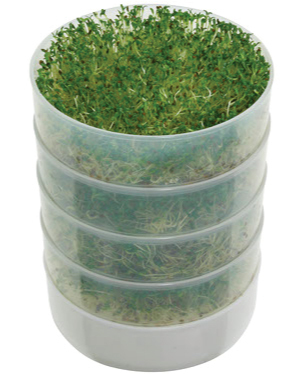 Export or novice, grow your own delicious and highly nutritious sprouting seeds with this easy to use, multi-tiered 4 Tray Seed Sprouter. 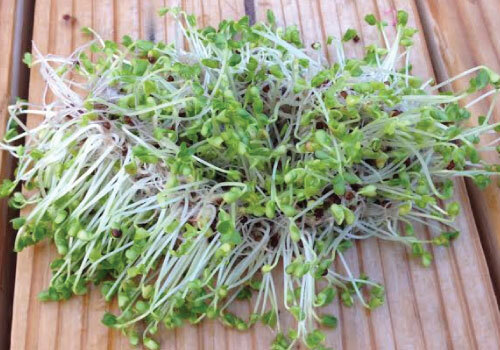 The Alfalfa sprout is one of the most popular sprout seeds we offer that has a mild nutty flavor and a wonderfully crispy texture. 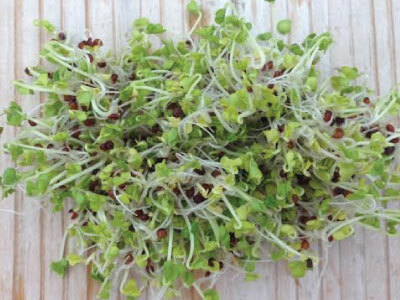 The Broccoli Sprout has a high antioxidant content and contains up to 50 times the sulfurophane found in mature broccoli! 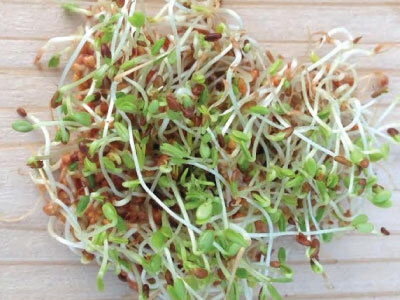 The delicious Chive Sprout has a nice mild garlic flavor with a hot and spicy kick and a crunchy texture that pairs really great with so many meals! 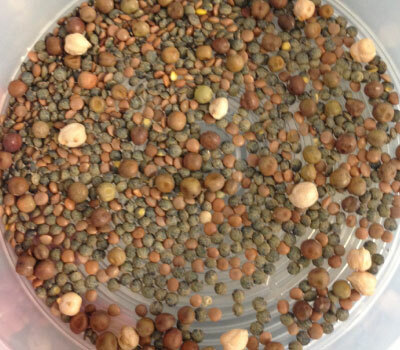 The peppery and pungent Curled Cress is a highly nutritious aquatic green that is great for seed sprouting or microgreen growing! 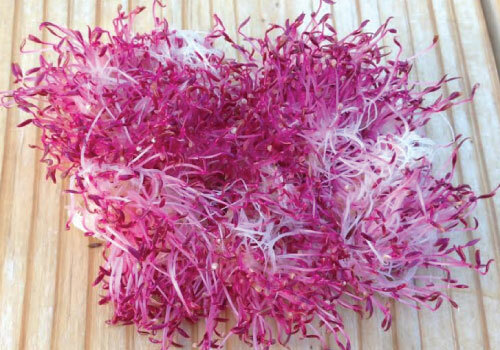 If you like the taste of fresh radish, then you'll love the taste of the colorful and not too spicy Daikon Radish sprout seed! 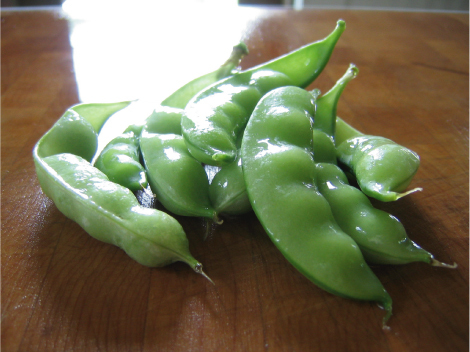 The Dwarf Grey Sugar Pea is a customer favorite that is suitable for northern and southern regions, as it is tolerant to heat and cold. 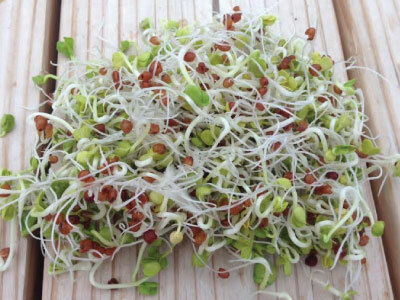 The French Lentil Sprout is a tasty and popular addition to salads, marinates, soups or sautés for its delicious sweet and peppery flavor! 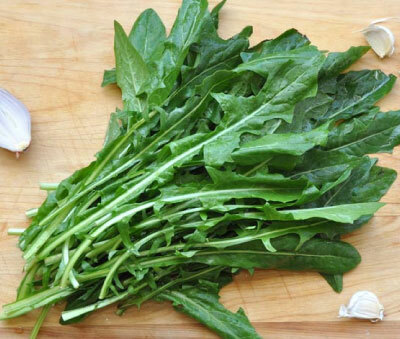 The French Mix is a delicious mix of clover, arugula, radish and dill that has a nutty flavor with a slightly spicy kick. 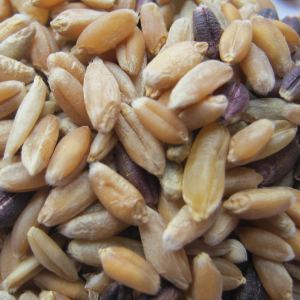 The Grain Mix is a nutritional extravaganza and a sweet treat as a breakfast cereal, just add some fruit and milk and dig in! 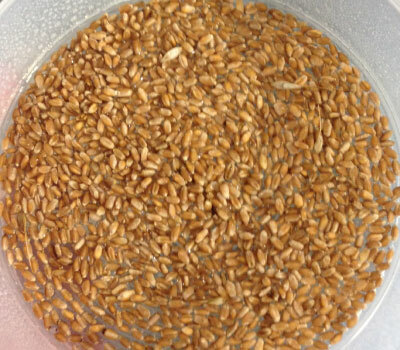 The Hard Red Wheat Sprout is an easy to grow sprout and is delicious on salads, sandwiches, breakfast cereal and living bread. 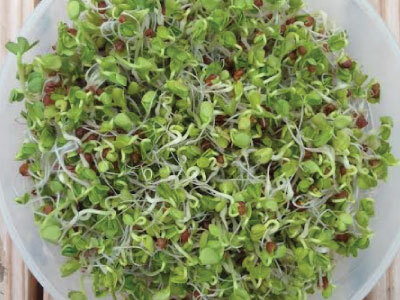 The Kale Sprout mixture contains Red Russian, Dwarf, and Siberian Kale seeds that have a really great taste for sandwiches, salads and more. 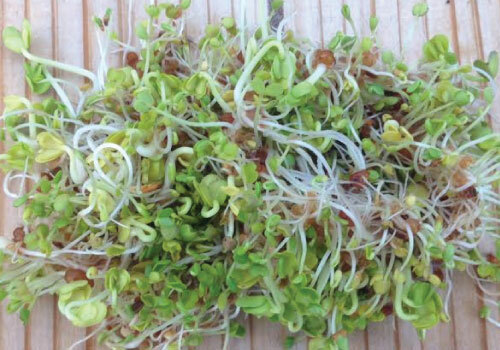 The Red Clover Sprout is almost Identical to the Alfalfa Sprout and has a nutty and mild flavor, but with a lighter green leaf. 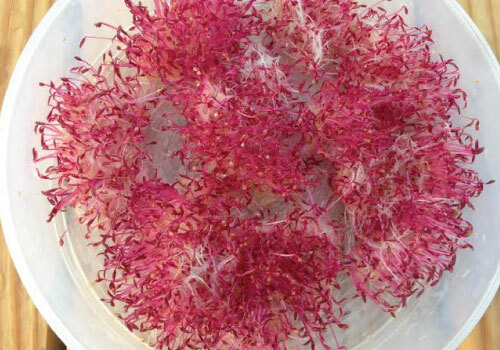 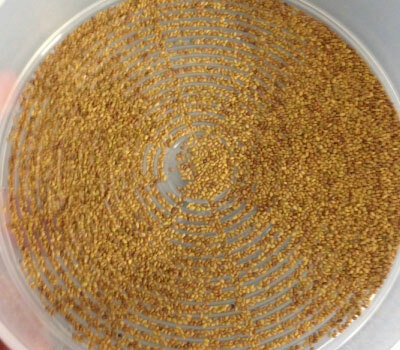 The Red Garnet Amaranth can be used as a sprouting seed, cooked green or allowed to flower for a dramatic display in the garden or grow it for grain! 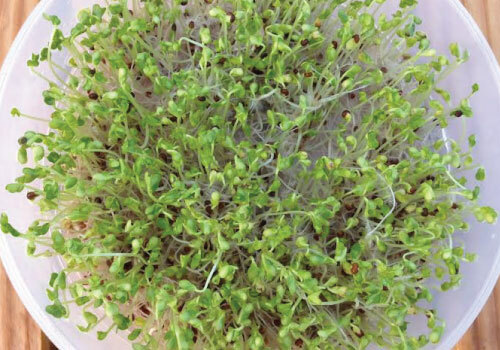 The Soft White Wheat Sprout is packed with beneficial nutrients and is flavorful and tastes great on salads and sandwiches. 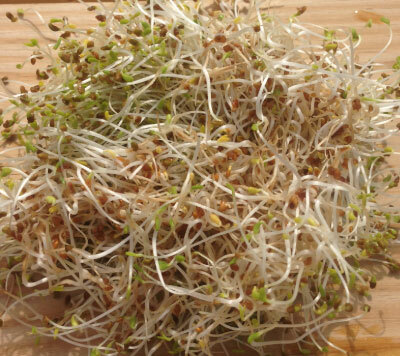 The easy to grow Spelt Sprout variety is especially important to use for those who are allergic to, or are avoiding Wheat. 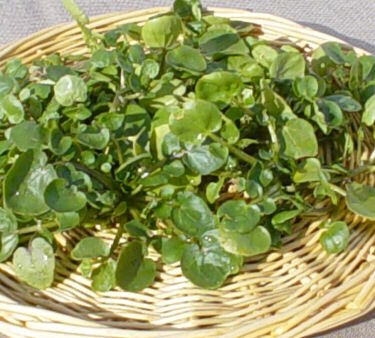 Being semiaquatic, True Watercress is a creeping perennial whose leaves are popular in salads, sandwiches and as a garnish. 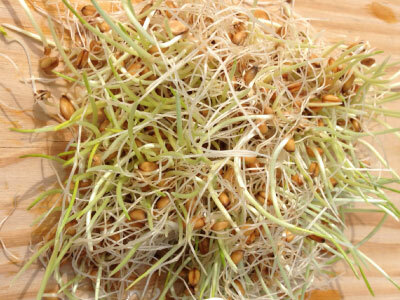 The Wheat Grass Sprout is packed with lots of beneficial nutrients, all you have to do is sprout the seeds to see these benefits. 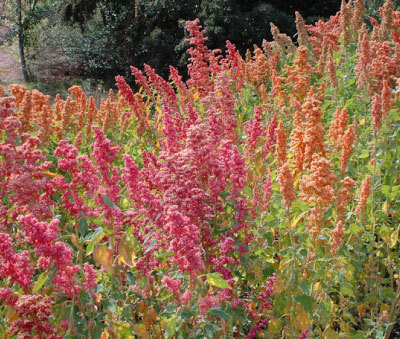 Just like its name, Brilliant Rainbow Quinoa contains a spectrum of many different colored heads - red, orange, gold, white, and green. 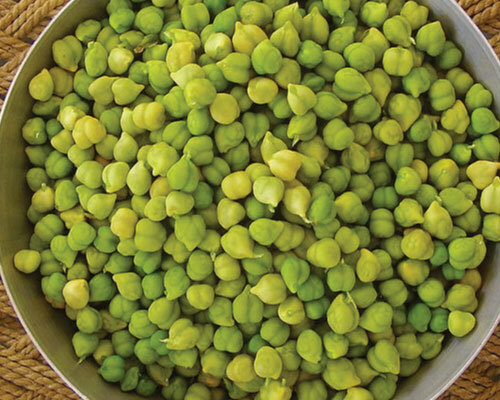 These garbanzo beans are a unique heirloom variety that produces delicious beans that are perfect for making homemade hummus. 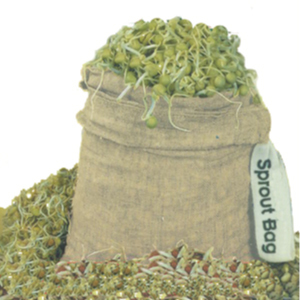 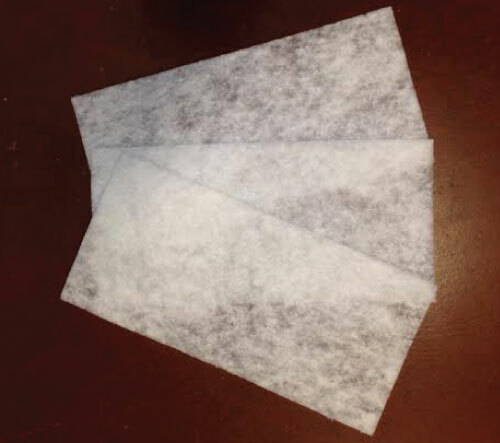 Grow your own delicious and highly nutritious sprouting seeds with this fast, easy to use Hemp Sprout Bag, just dip and hang! 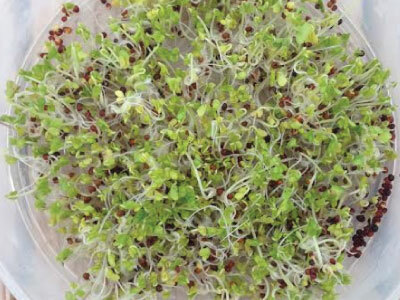 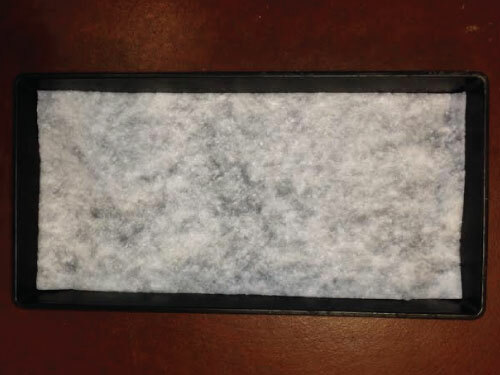 The Microgreen Growing Sheets are a superior alternative to perlite, coir, vermiculite and soilless mixes, making it easy to grow microgreens and sprouts.